Aftermath will be the first book in a trilogy that is meant to bridge in the gap between Return of the Jedi and The Force Awakens. Story details have not been outlined just yet, but the book will feature all-new characters and at least one returning favorite. My earliest — and still one of my best — movie-going experiences as a kid was being a four-year-old watching The Empire Strikes Back at a drive-in theater with my sister…My jaw dropped and I don’t think I’ve found it, yet. Those movies opened up a world for me, and my love of storytelling comes from them and from the galaxy of smaller, connected stories, too — from the toys to the games to the books. In fact, one of the first novels I ever read was the novelization of A New Hope. I have a son who will in a few short months be my age when I saw Empire, so to be involved with the Star Wars universe just as the new film is coming out — it feels like not only something akin to kismet, but a great and powerful privilege. I know I’m stating the obvious – but it’s a great time for Star Wars fans! You can read more about Aftermath over at StarWars.com. Check out Chuck Wendig’s official website and/or follow him on Twitter @ChuckWendig. 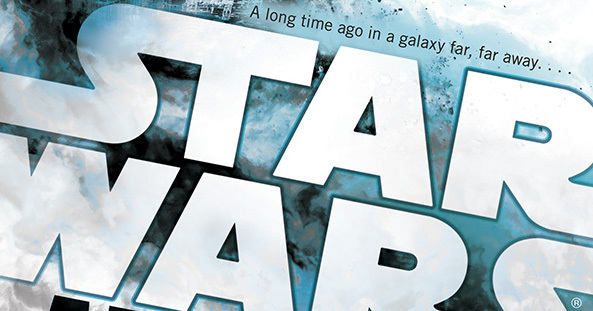 Star Wars: Aftermath is scheduled for release in September. Fascinating…I know all my fellow Star Wars fans join me in saying congrats to Mr. Wendig and please don’t screw this up, LOL!